There’s more to Pete Yorn than a nice pair of shoulders. The New Jersey-bred singer-songwriter arrived six years ago with a big buzz around his Columbia debut, "Music for the Morning After." Two CDs later and Yorn still has his major-label deal and a devout audience that turns out for his concerts, no small potatoes in the age of passing fancy. Yorn’s secret? It isn’t his reasonably good singing and guitar playing. It’s in his songwriting and gimmick-free presentation. Yorn writes plainly enough for anyone to understand. But his gift for well-placed metaphors and barbed cynicism give his songs emotional resonance. He connects with fans who demand a little -- but not too much -- depth, while also delivering enough no-baloney rock ’n’ roll to keep your inner frat boy entertained. You needn’t have told any of that to the crowd at his splendid sold-out Avalon gig on Monday. The faithful, shrieking gals and all, knew all the words. Yorn reached back to his debut for the opener, "For Nancy (Cos It Already Is)," a deceptively simple ditty that juxtaposes a serpentine guitar riff against a cha-cha rhythm. For his slacker-love breakthrough single, "Strange Condition," Yorn put down his guitar to concentrate on his crackly expressive pipes. Backed by one of his opening acts, Santa Barbara alt-country hipsters Minibar, and with his longtime collaborator Joe Kennedy alongside him, Yorn played tunes from last fall’s "Nightcrawler," such as "For Us" and "Undercover" stripped of their electronic studio adornments and cranked loud enough to rock with abandon. Thankfully, his gorgeous core melodies emerged unspoiled. Famed for offbeat covers, Yorn’s take on the Association’s "Never My Love" radiated romantic charm with mysterious, dark underpinnings. The Beach Boys’ "Surfer Girl" was goofy and endearing. By the four-song encore, which included "Life on a Chain" and a respectful reading of Warren Zevon’s "Splendid Isolation," there wasn’t any question of Yorn’s passion for his craft, something that should endure even when his shoulders begin sagging. 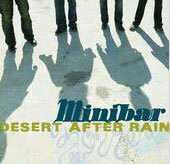 Minibar’s opening set was a triumph, including a Yorn cameo on drums. The quartet vacillated between a mellow So-Cal soft vibe and a harder, jangly roots-rock with pedal steel. Sweet harmonies kept the edges tastefully sanded down. Alabama’s Moses Mayfield served up a glowering collection of tunes from its debut, slated to drop next week. Enigmatic frontman Matthew Mayfield’s impassioned performance harked to a young Michael Stipe, but his onstage spitting has got to go.